Pitti Uomo 80 and Pitti W 8. On the occasion of Pitti Uomo 80 and Pitti W 8 (14–17 June 2011), Pitti Immagine, the Fondazione Pitti Discovery and Osservatorio Arti Contemporanee (OAC) dell’Ente Cassa di Risparmio di Firenze will proudly present the first edition of Pitti Guest Nation, the project dedicated primarily to the new players on the global economy with the aim of promoting trade and further mutual knowledge between the host and guest countries. We warmly welcome our first guest nation, Brazil, a huge country in the midst of great cultural, social and economic changes that make it a leading actor on the international stage. During Pitti Uomo, the best of the country’s new fashion talents, contemporary art and culture will be showcased in Florence through a series of events held at some very special locations. 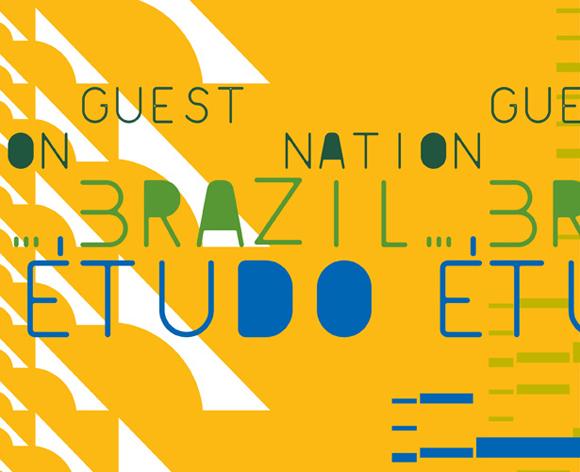 Guest Nation Brazil… Tudo é comprises two distinct yet synergic themes: contemporary art and fashion. Together they trigger a circuit between the business and cultural system, between fashion and esthetic/artistic languages, between the fair and the city and open a new door to learning about this great, complex and fascinating country. For four days, artists such as Runo Lagomarsino, Jarbas, Pablo Nenflidio,Cinthia Marcelle, the “unclassifiable” visual artists and musicians like Chelpa Ferro,musicians such as Siri and also DJs and producers like Nado Leal and the famous duo Tetine will unveil a growing world of thoughts and desires bringing Florence and Brazil together and generating an original mixture where freedom of thought, of expression, of imagination will be the fulcrum of the Guest Nation Brazil project. Young fashion talents. Pitti Immagine has reserved an area within Pitti W (at the Dogana) specifically for new talents in women’s fashions from Brazil. The area will showcase a selection of young brands and designers—curated by the fashion consultant Helena Montanarini—who represent the most creative looks in Made in Brazil fashion—and some of them will be making their European debuts here in Florence. The participating brands and designers: Clube Bossa, Gilda Midani, Isabela Capeto, Louloux, Muggia, New Order, Oestudio, Pat Pat’s, Vanessa Montoro, Victor Dzenk. The Guest Nation Brazil event is being produced under the patronage of the Brazilian Embassy in Italy, with the collaboration of Regione Toscana – Assessorato alla Cultura, Turismo e Commercio, and with the contribution of Cassa di Risparmio di Firenze Spa.